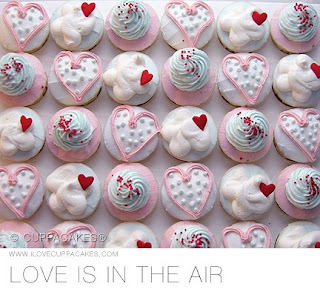 Mariuca's Perfume Gallery: Cupcakes Anyone? Aside from Zeff, who's been friends with B since they were kids, Hans is B's good buddy as well. The three of them have been best buds since way back then and it's always fun to hear the funny stories on how they became friends and what transpired during their mischievous younger days. So Friday night, Hans dropped by our place to personally wish a very HAPPY BIRTHDAY to B and to drop off some yummy cuppacakes from wondermilk cafe in Damansara Utama. I thought the cuppacakes looked really delicious the moment we opened the box and when we got around to devouring them, my hunch was right! The wondermilk cuppacakes were much better-tasting than the ones at Cupcake Chic @ The Curve. I think Chic cupcakes are a tad too pricey for the quality they provide. Plus most of the cupcakes seem to taste the same (to me); only the icing and decorations are different. I did a little research on wondermilk to find out more and according to the website "cuppacakes® are known for fine & exquisite cupcake creations. 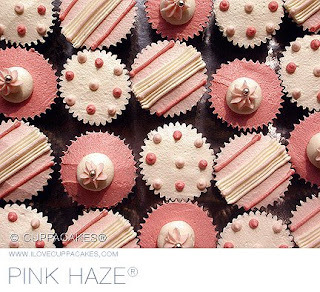 always defined by our attention to detail, beautiful colours, yummy flavours, premium quality ingredients and forever known for our whimsical & creative approach to cupcake design." It was really fun visiting wondermilk online. There are so many cool and pretty designs to choose from and you can order these delicious cuppacakes for almost all occasions! From Hari Raya parties to baby showers or fringe-cutting ceremonies and birthdays, I am sure you will find the right set of cuppacakes for your event. Here are some of my personal favourites, lovely aren't they? Yeah DD tak der cupcake.. what I meant is I dah fedup with their donuts.. all taste the same except for the topping.. boring!! Yeah for sure will visit them.. eh they have shops in Ampang ke?? Tulah...lift to rosak.. mengah i naik tangga.. cist bedebah tulah mainantenance company tu!! Thanks for the cupcakes dearie.. err.. kopi tak der ke..lolzz!! wokay.. i will check the website in a while.. now writing post..it seems 3P belum update ranking lagi.. so am still getting offers..lolz!! hopefully today lah.. coz it was showing their Sunday.. now our Monday already mah.. maybe later kot..
Wow...look at all those amazing cupcakes. You are making me very hungry. I know I'm late, but happy, happy birthday to B! Maybe the girls and I will try another sandcastle cake for him...mas vale tarde que nunca! ohhhhh yum yum yum yum Mariuca!!! Oh my I was already starting to get hungry and now I am starving. Hi Mariuca, love the cupcakes....with ice coffee, sure can polish off 6, ha ha. Your baby is soooo cute....can see beauty runs in the family. Noticed this your 'Perfume page'? I love Nina Ricci L'air du tempe. I want to go to Wondermilk. 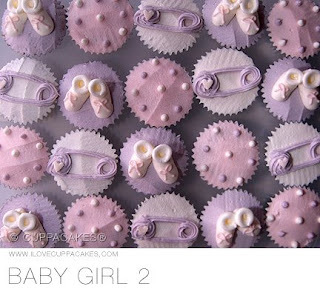 wah... so cute la..I LOVE CUPCAKES!!! Hola Kim, thank you for such a great comment here! The cuppacakes do look yummy here don't they? The cafe is not too far from where I live too, which makes it easier for me to happily go cuppacake shopping anytime we feel like having some! Oh I too love peanut butter and jam YUM! Now you're making me hungry Kim and I still have like 3 hours to go before we break our fast today! Hi Lee, thanks for stopping by and welcome to MPG! Hmmmmmm iced coffee and cupcakes sure go well together, I'll join you as well lol..
Ha ha! Nessa, better go to wondermilk, some more it's at DU, not in KL, so near our area he he! I'm sure u will be spoiled for choice too and you can also order a batch for ur Christmas party this year perhaps? So many cool designs and all so pretty! He he he!! Nike is it Emila? Wow! So cute and pretty! I have yet to taste any of those fancy cupcakes lah, must try one day. I'm planning to bake a cake for my bday this year. :) Wish me luck!! Oh my we are all going to gain 10lbs. this week just looking at this post. It's early morning here and I would love that chocolate one with my coffee. GP! I love the Baby Girl also!!! Nessa quietly creeping up!! Oh no!!! Selamat Hari Raya Aidilfitri Marzie & B... and Phoebe and the geng! It's not too early to wish you guys kan. I oso in a holiday mood already :D You tak balik kampung mana-mana ke?? Moist chocolate cake, of course! Ingat nak bake the cake at home, then decorate kat kampung. :):) It'll be so fun, don't you think? Plus we're gonna have bbq and make mashed potatoes and coleslaw, with agar2 and bday noodles, the works. Jackie.. after my climb up the 10 storeys.. 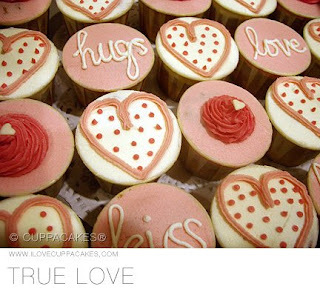 I could sure use some of these cupcakes..lolzz!! Happy B'day to your B too! Waah lovely cookies lah! I am sure taste delicious too! 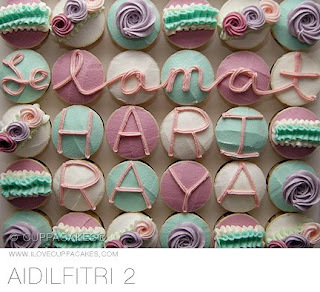 Wish you Selamat Hari Raya Adil Fitri!!!! If driving enywhere, drive safely!!!! If flying then just sleep lah! Haha! Yum!!! Those all look delicious!!! 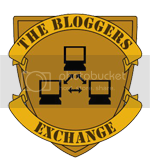 Doing my morning rounds in the blogosphere... you must be in ZZZ land ya. wahh.. semua cupcakes memang nampak sedap..
macam shinade kata "sinfully yummy.."
i ve think i ve seen this wondermilk b4, but have yet to taste. I am sure they taste great. I agree, Cupcakes best kalau kek nya tuu sedap, icing yang menarik kira macam pembuka selera. Kombinasi icing yang cun dan rasa yang umphh! baru laa meletup. Rasa ,manis icing tuu akan kira complimentary la kat rasa sejati kek tu.. hahaha. Kalau sekadar icing cun, tak ubah laa Rizal buleh beli cupcakes kat mamak jual roti yang dalam 30sen lepas tuu buat icing cun. hihihi. tapi, nampak wondermilk ni cam spesial..
ohh, teringat masa kecik2 dulu - kat pasaraya, me and my mum selalu pergi sebulan sekali beli barang rumah, sambil tuuu beli cupcakes ada mcm2 flavour - chocolate, kelapa, -- awesome masa tuu, sebelum zaman sekarang yang cupcakes dah tumbuh macam cendawan.. huhu..
p/s : favourite cupcakes - anything ada choc. atau kekacang or better yet, combination of both.. I think I would end up very fat !!! Wah.. I am so lapar right now. Thank God tomorrow already Raya! Hehe.. Selamat menyambut Hari Raya Aidilfitri to you! oh my gosh! they are amazing! Like little pieces of edible art! Selamat Hari Raya! Saya hope awak have a grand day indeed. Really nice of Hans, such a nice and kind friend! Good morning MPG! Happy to see your smiling face on my EntreCard widget today. Keep an eye on things and bring me GP luck in the Battle of the Blogs, OK? wow! those cupcakes are so mouth-watering! they sure look good on the pictures, how much more in person! LJ, so sweet kan the baby Girl cuppacakes? I love the very but nak order untuk sape ye? LOL! Nessa! You did it sweetie, thanks for being on MPG's Top 10 Mariucans list for Sept yeeha! Mmmmm memang best sangat cuppacakes ni Rizal! So hard to choose my fave but I decided on the choc, cause mmg my fave tu! Dah la moist and soft mcm brownies he he! Ah tu la Rizal, kalau icing je nampak cun tapi rasa kureng, buat apa...I'm sure u will enjoy wondermilk punya, pi beli besok jugak okay? Pas tu let me know which one is your fave ha ha! The Aidilfitri one pun nampak so sweet kan? Too bad tak sempat order lol! oh I hope you are just having the best time ever!! It sounds like such a wonderful celebration....lots of food, fireworks, family visits...wow!! Congrats I think your 78 subscriber is the highest so far. Lapar lah tengok your cupcakes ni!! They look soooo yummy but I keep telling myself...touch not, taste not, handle not. How's baby Issy and Pheebs? do they get along? I like cupcakes, so nice looking. Do you know how to make cupcakes. If you do, surely highly tasty. Wish you happy and healthy. It is my dream if you can leave your footprint just like eastcoastlife and bono. hello I see my badge here today Mariuca..yeehaaa !!! Marzie! Marzie! I want cupcakes!! Hungwy!! Hungwy!! Woof GP! I wish I could see Pheebs and Issy together pulling ear in a video hahaha! Is Pheebs still loud or have you "fixed" her yet? LOL Sushi! Poor Pheebs went EEEEK went Issy pulled her ear ha ha! Both of them looked really cute together. And please, bring more cuppacakes for Mamma okay? Enjoyzzzz! I'm not a fan of cupcakes. Prefer cakes instead! But thanks for this info, will know where to get good quality cupcakes if I want to next time! I also think the Cupcake Chic at The Curve way too expensive! Wow! Simply yummy...I guess i need to try to make some. Thanks Mariuca for your sharing. I am craving badly for them. GP!! It's raining here... some nice cupcake with hot coffee would be awesome lah! Good morning GP!!! Am sneaking in while mommy's getting ready.. but I need to go now.. need to shower and get ready oso.. see you later!! I feel hungry now; so I'm staring at those cupcakes..LOL! Checking out ur cupcakes now sweetie, internet so damn slow! Wow! Simply yummy...I guess i need to try to make some. Thanks Mariuca for your sharing.